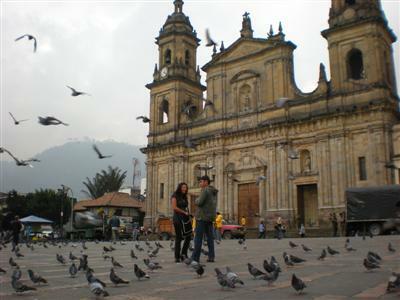 Plaza de Bolivar is the historic center of Bogotá and is just south of La Candeleria, the neighborhood where I´m staying that´s full of old single-story stucco houses in Spanish colonial style. It´s also where most of the city´s universities are located so, not surprisingly, it´s also full of small bars, cafes and restaurants. 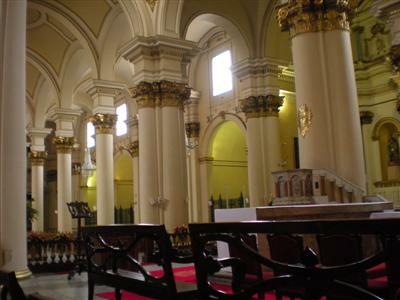 Here´s my obligatory inside-the-cathedral shot. I promise this will be the only one of the trip. Allright never mind, I doubt I can keep that promise. 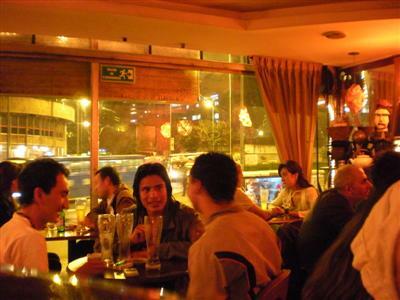 You can pretty much find anything in Bogotá´s nightlife, from clubs playing pounding electronic music or traditional Vallenato, dive bars, or cafe-style. Here´s La Ventana (window in Spanish — guess why) which, with 2 for 1 Mojitos, is hard to beat.